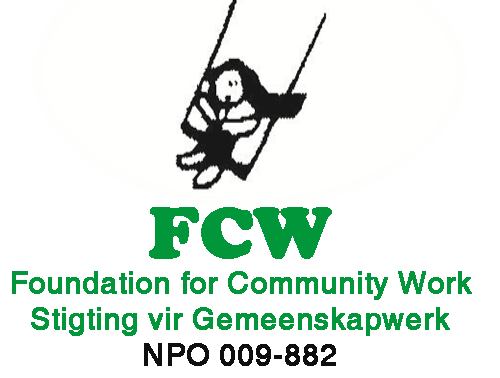 Foundation for Community Work (FCW) in partnership with Mothers2mothers, is currently a Social Impact Bond in it’s two project sites namely Atlantis and Delft. The Social Impact Bond project was implemented in November 2017 and is set to end in October 2020.The Social Impact Bond focuses on improving early childhood outcomes, which makes the Bond a first of its kind in the global south. Early childhood is a period of unparalleled opportunity for promoting and developing human potential. The period from conception through the first five to six years of life is crucial for the development of a child’s physical, social, emotional, and cognitive wellbeing. These benefits are life-long – improving education performance, bettering careers, and health. Huge social and economic benefits result. Social Impact Bonds consists of various role players, these entail the intermediary, service provider, government, investors and an independent assessor/evaluator. The investors provide upfront funding to the intermediary organization which is responsible for making payments to the service providers. Additionally, the intermediary is responsible for coordinating the SIB for instance; they responsible for raising funding from investors, select service providers and to constantly monitor and evaluate their performance in-order to determine if objectives/targets are being met. The service provider is responsible for delivering services to a specific target group. In most cases an experienced NGO is normally selected to deliver services in-order to minimize risks. The government is responsible for paying the investors if certain outcomes are met, additionally, the government as well as the intermediary collectively decide social issues to be addressed by SIB. Lastly, SIBs also have an independent assessor/evaluator who determines if the project objectives were met or not. In light of the above the first SIB in the global South is structured as follows: the IBIF is managed by the Intermediary partnership of m2m and Volta Capital, working closely with implementing partner, the Western Cape Foundation for Community Work (FCW). The transaction is led by the Western Cape Department of Social Development (DSD), in a matched funding arrangement with ApexHi Charitable Trust, and supported by a coalition of investors: The Standard Bank Tutuwa Community Foundation, Futuregrowth Asset Management, and LGT Venture Philanthropy. If successful, the IBIF model could be replicated across the Western Cape, and throughout South Africa, changing the way social interventions are funded and creating a new way forward for additional public-private funding opportunities.